With the ability to provide prompt and quality services, our appliance repair company in Wayne can cover your needs to your satisfaction. Call us if you need to fix laundry or kitchen appliances in Wayne, New Jersey. Our company is local and happy to serve the needs of local residents in the community. We specialize in all home appliances and rush to fix their problems – in most cases, the same day you call. 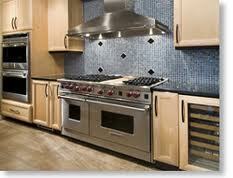 What we can also do here at Appliance Repair Wayne is install, inspect, and maintain all home units. So contact us whatever you need. Why call us instead of other appliance repair companies in Wayne? We are the appliance techs near you and ready to assist you whenever the need arises. Our company is very experienced and employs only skilled techs. 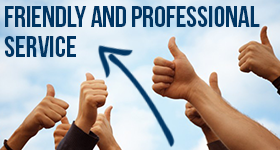 Everyone on our local team is also insured, qualified, and up to date trained. Since problematic appliances need repairs quickly, we keep our vans equipped and thus are ready to troubleshoot problems and provide services on the spot. We don’t have to come back to replace parts. Our techs have what they need in their trucks to fix appliances. Which appliances our techs repair? All appliances in the home. Need washer & dryer service? Want to fix kitchen appliances? Depend on our home appliances repair service. When it comes to kitchen units, we repair both fridges and freezers, dishwashers, and all cooking appliances. Call us to repair ovens, stoves, microwaves, or ranges. We repair electric and gas models and any type – built-in, front and top loaded, counter top, combos – you name it. Which services our appliance repair technicians provide? Our Wayne appliance repair company offers affordable services in a timely fashion. You can depend on us to repair appliances quickly and also set an appointment for any other service based on your busy schedule. Call us if you need more information or to schedule a repair. We are at your disposal to serve your needs today.